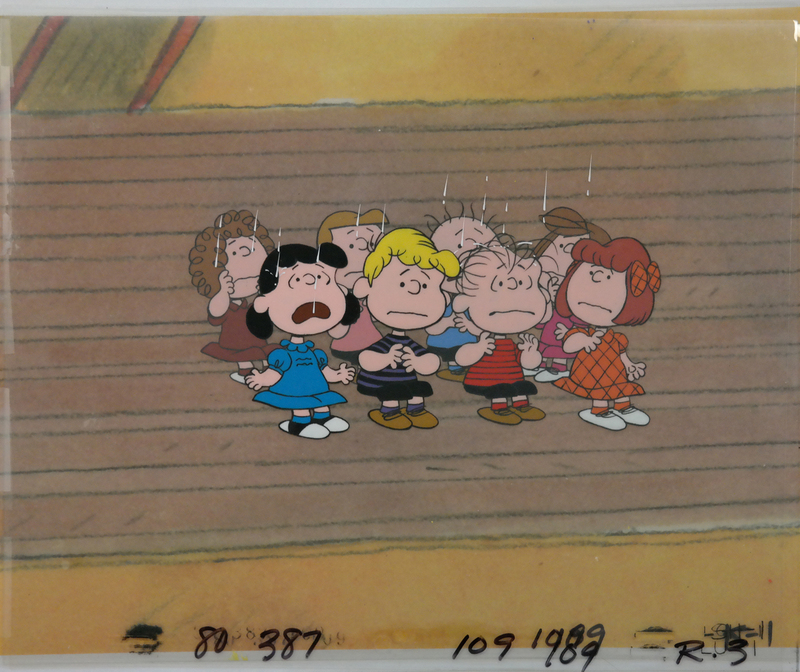 This is a production cel featuring Lucy, Schroeder, Linus, and Patty from a Peanuts cartoon. The untrimmed cel measures 10.5" x 12.5" and the image measures 4" x 7.5". The cel is on a copy background.